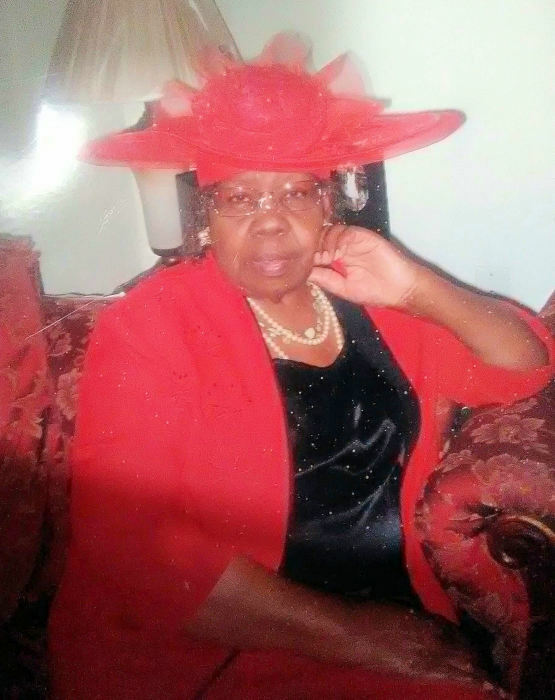 Obituary for Etta Mae (Murray) Benson | King-Tears Mortuary, Inc.
“Momma Benson” is what all her friends and neighbors called her. She was loved by many and there wasn’t a stranger that she did not show love to. She had a natural sense of caring with kind and helpful ways. She had a gravitating spirit to everyone she encountered with, her love touched so many lives and brighten many days. She always made everyone feel special. She was a loving Kind hearted, giving, gentle spirit who will never be forgotten. At an early age, Etta accepted Christ as her Lord and Savior with the Glory Hill Church of God and Christ under the leadership of the late Elder William Levi. She was a servant in the Church until she later united in Holy Matrimony to Eugene Benson Jr. She then changed her membership to Red Hill Baptist Church, she and her husband then started their family, 8 children were born. Later she decided to step out on faith, relying on God and always putting him first in her life, she moved to Austin Texas in 1974 and began the next chapter in her life. Etta was a hard-working mother who worked various jobs to make sure that her family was provided for. Mother Benson had many favorite scriptures which was often known to quote and now in her loving memory we quote one, “I have fought a good fight. I have finished my course, I have kept the faith”. Etta Benson is preceded in death by her parents Roberta W. Murray and R.P. Murray, her husband Eugene Benson, four children: Larry Benson, Darnell Benson, Lee Benson and son that she took in to call her own Mohammed Tahan. Four sisters: Rosie Brent, Bertha Claiborne, Sarah, Carolyn Williams and one brother, James Otis Murray. Two grandchildren: Sheila Wilson, Ke’osha Kanada and one great grandchild: Dea’mora Benson. Etta Benson leaves to cherish her memories Five children: Jimmie Benson of Colorado Springs, Colorado; Thomas (Consuelo) Benson of Jackson Ms.; Ronald (Ruth Ann) Benson of Austin Texas; Sylvia Benson of Pflugerville Texas; Alex (Jennifer) Benson of Crystal Springs Ms. Extended son’s: Erick (Pam) Benson of Jackson Ms.; Justin (Tasha) Benson of Columbia Ms. Two daughters-in-law: Benita Benson of Jackson Ms.; and Cora Benson of Round Rock Texas. Five sisters: Louvenia Williams of Chicago Illinois; Doris Murray, Betty Kendrick, Christine Powell and Barbara Murray all of Crystal Springs Ms.; Three brothers: Phillip (Rosie) Murray of Denton Texas; Carl (Elmira) Murray of Terry Ms.; and Richard (Augustine) Murray of Crystal Springs Ms. Four sisters-in law: Elizabeth (James) Welch of Crystal Springs Ms.; Mae Nell Benson of Crystal Springs Ms.; Helen Benson of Crystal Springs Ms.; and Lucille Spearman of Lithonia Georgia. One brother-in-law: Albert Benson. Twenty-Seven grandchildren, twenty-six great grandchildren, twelve great-great grandchildren and a host of relatives and friends.